Gregory Sumner teaches history at the University of Detroit Mercy. 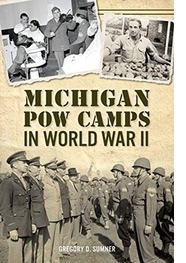 His new book is Michigan POW Camps in World War II(The History Press). T. Waskow of Belton, Tex. Journalist Ernie Pyle was a household name during the Second World War. Millions at home consumed his dispatches from various theatre's of battle, carried in more than 300 Scripps-Howard newspapers across the country, with the same devotion they reserved for v-mail they received from their loved ones in harm's way overseas. 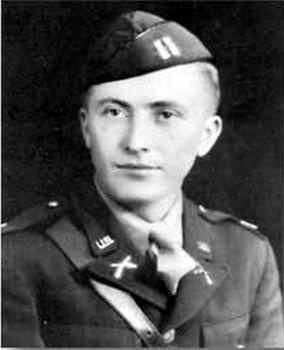 Pyle's most famous column eulogized Henry Waskow of the 36th infantry, who died December 14, 1943—75 years ago—when he was struck in the chest by a German mortar in the fighting that raged in the mountains south of Rome. If it had not caught Pyle's attention, his death would have been lost amid the casualty numbers coming out of that exceptionally bloody front. For three days Pyle waited at bottom of the trail where mule teams were bringing down bodies. “This one is Captain Waskow,” he remembered hearing that cold, moonlit night as he eavesdropped while the men of his unit approached, one by one, to offer their sad and awkward goodbyes. The intimate, closely-observed details of this column struck such a chord with Pyle's audience that Arthur Godfrey decided to read it aloud on his syndicated radio program, and it would be adopted for war bond drives in much the same way as Joe Rosenthal's photograph of the flag raising at Iwo Jima a year later. And so we should pause, to remember the work of Ernie Pyle, and the life of the young army captain he so nobly memorialized—one of eight children, born to a family of Dust Bowl sharecroppers, the class president at his tiny high school, an aspiring teacher, a humble and caring man who went the extra mile for his men, and who, like so many others, sacrificed his future, for ours. Today Henry Waskow lies buried in a military park in Italy with thousands of his fallen comrades, a long way from home. “I would like to have lived,” he wrote in a heartfelt letter to his family, to be opened in the event of his death. I have lived a life with that in mind all along. world, free people can be happy and gay again. If I failed as a leader, and I pray God I didn't, it was not because I did not try. You can read Pyle’s tribute to Captain Henry Waskow here.